The following piece was originally published in our “What’s Up In Social Media with D.” column at ValpoLife.com. Q: I recently took a position where I was put in charge of managing my company’s social media accounts. But each department is responsible for making its own posts, and everyone posts whatever they want, whenever they want. It’s been that way since before I took the position. So our social media is kind of a mess. Our Facebook updates are set to automatically post to Twitter, but I don’t know if that’s a good thing. At some point, someone claimed our Google+ page, but I don’t know who, I don’t have the password, and I can’t make any posts. Do you have any advice about how to fix accounts that are already a mess? A: Frustrating as it is, yours is not a unique problem. I deal with this all the time. Many companies set up their social media accounts before they really grasped how important they would be. Social media was a cool new toy – a “free” way to get business exposure. Few companies took the time to integrate social media with their marketing policies. In many cases, administrative personnel were left to figure it out on their own, whether those people were trained in digital marketing or not. Many took a “sign up for everything” approach, because few people understood exactly how time consuming good social media marketing would be. 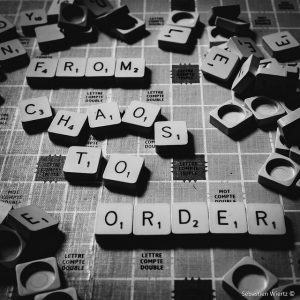 The result is a little bit of chaos. Work with management to define exactly how you want social media to fit into your company’s current marketing plan. Keeping in mind that social media is designed to allow the public to have conversations, how do you want people to talk with your company and about your company, online? Once you’ve got a clear sense of how social media marketing will serve your overall marketing plan, you can create clearly defined strategies for dealing with each account. Take stock of all the digital media resources you have, and to the extent that you can, measure how useful they are for your company’s marketing. Weigh that against how much time it will take you to maintain the account. Choose which accounts to keep and which to close. Don’t forget that websites, blogs, and email newsletters are all part of your digital marketing plan, too. They take time to maintain, also. As I’ve said before, you really must have a responsive website, and should probably have a newsletter. Beyond that, choose the social tools to give you the most return for your limited time investment. Close any accounts that you aren’t using. This would include the mostly-inactive Twitter account you mentioned. Automatic reposts to Twitter from Facebook aren’t doing you any good. No one will click on those Tweets. Either turn off the auto posts and make real Tweets, or close the account altogether. To reclaim your lost Google+ page, if you can access the email account it was originally claimed with, you can reset the password. If not, send an email to the Google+ Help folks from your work email address and describe your dilemma. I have found them to be responsive, quick, and genuinely helpful. Update your accounts with standardized logos and images consistent with your company’s branding. This will start everyone off with a sense that they’re posting to a shiny new social media account, and inspire them to get on board with your shiny new posting strategy. Create a very clear, well-organized posting plan, and distribute it to all the departments. Each social media account needs to have its own posting strategy. Strategies should include guidelines for topics, guidelines for when and how often they should post, guidelines for pictures, guidelines for responding to comments and replies, and guidelines about reposting, Liking, Commenting, Sharing, Retweeting, +1ing, etc. This doesn’t mean social posts should be dry and corporate sounding, but just that standards should be clearly articulated. Anyone who posts to the social media accounts needs to understand they are speaking on behalf of the company, and therefore must follow company guidelines. People have lost their jobs over ill-advised social media posts, so it really is in everyone’s best interest to follow the guidelines. Be prepared to have several conversations with the individual departments as they get used to the new strategies. Clean up unauthorized users on all your accounts. Anyone no longer with the company should have their posting permissions revoked. Some companies choose to only have one or two people maintain the social accounts to keep tighter control. Others prefer an open approach, welcoming all company voices. Neither is right or wrong, but don’t forget you can set what level of authorization each user has. You can give many people posting privileges while reserving administrative privileges for a few. And spare a moment for the poor person who has to follow in your awesome footsteps once you’ve been promoted for your problem-solving genius. Keep a secure, but easy-to-retrieve list of emails and passwords associated with your website and social media accounts. Make sure your management has a copy of this, too. Thanks for your question. Anyone can send their personal or professional social media questions to share@valpolife.com or info@dcohn.com.